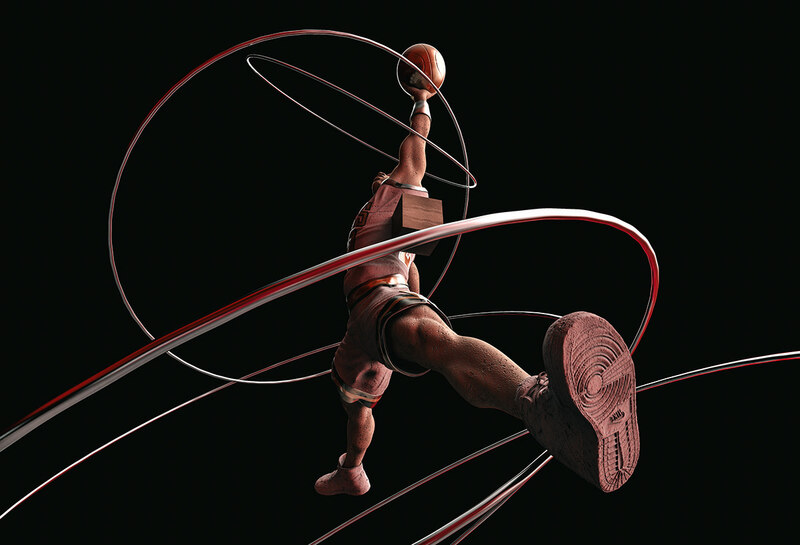 The first Nike Air Jordan I shoe, designed by Peter Moore, Michael Jordan's signature model, made its debut in 1985 . 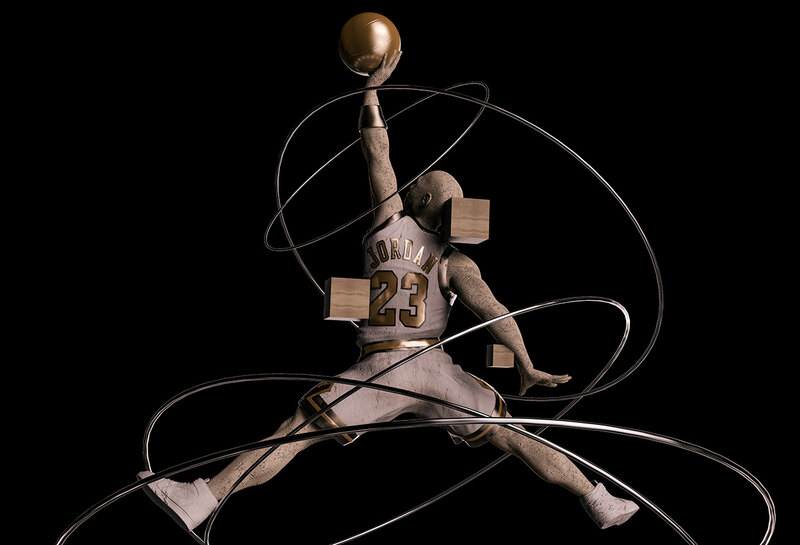 We've paid tribute to this iconic model with which Michael had some of his best moments. 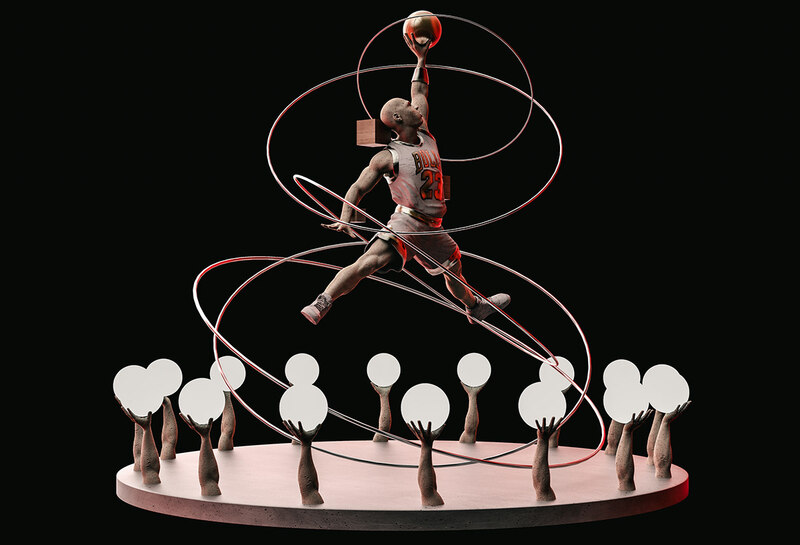 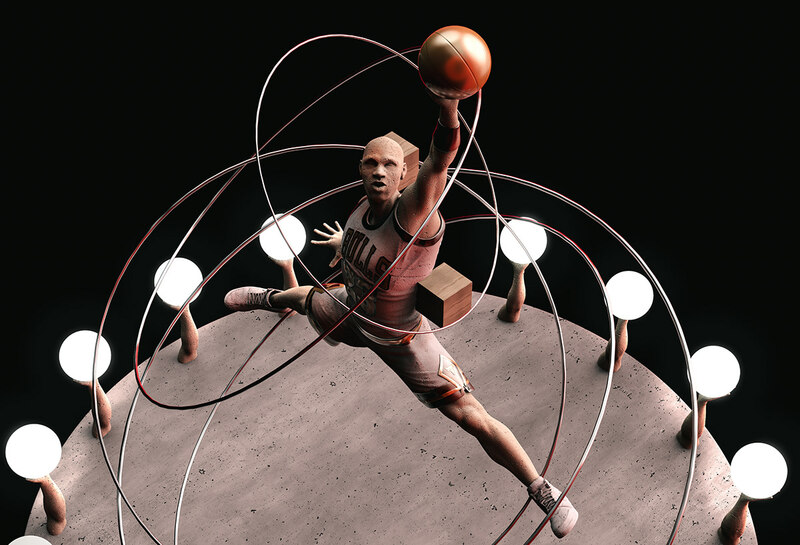 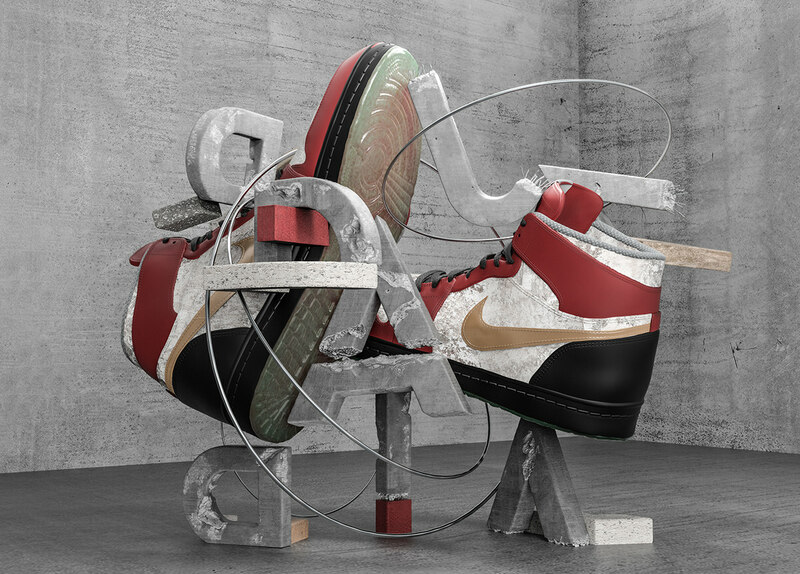 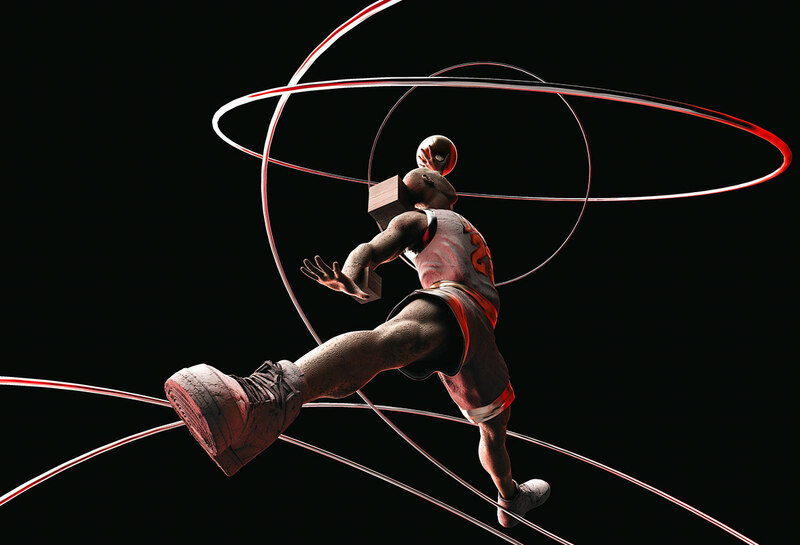 We've also modeled the "Jumpman" logo playing with a sculptural concept wrapped in six metal rings that symbolize the rings that MJ has won with the Chicago Bulls. 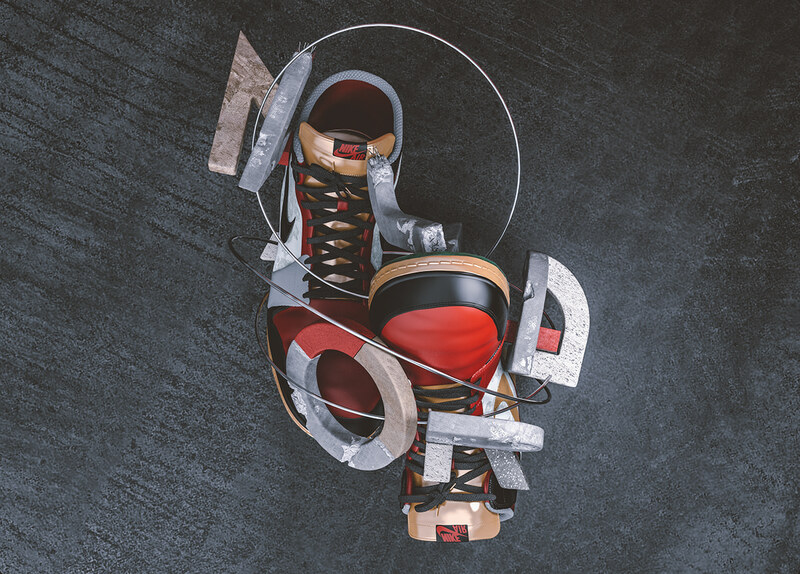 Music by DJ FATZ Producer. 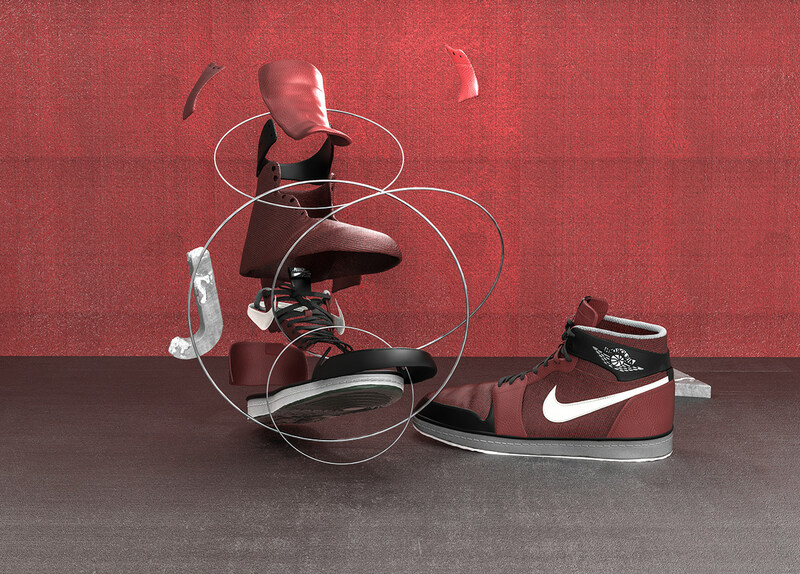 The first Nike Air Jordan I shoe designed by Peter Moore, Michael Jordan's signature model, made its debut in 1985. 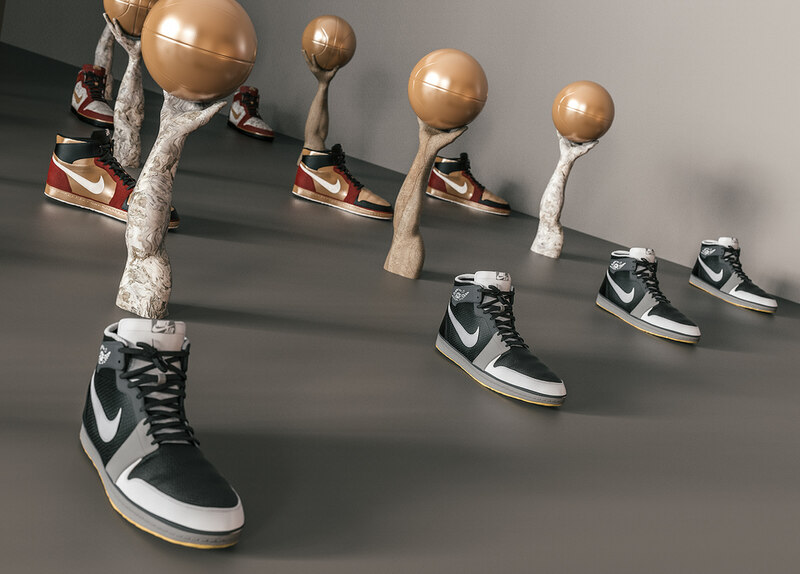 We've paid tribute to this iconic model with which Michael had some of his best moments. 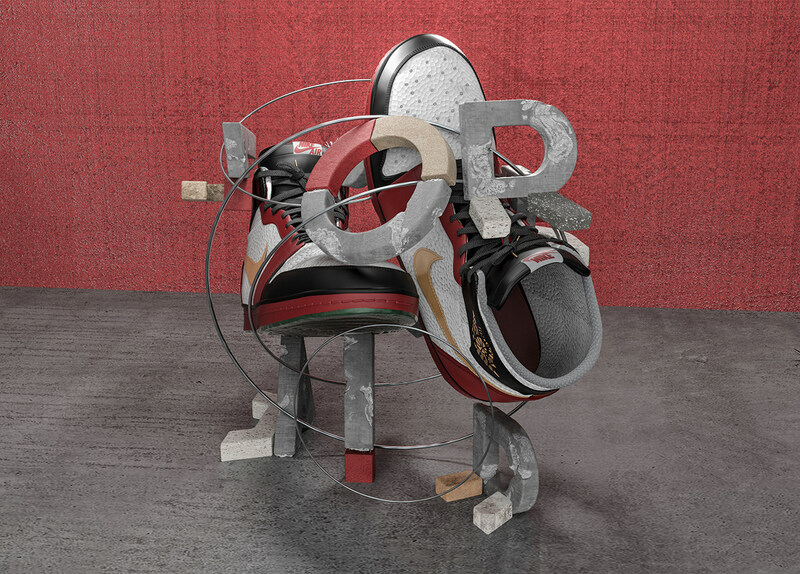 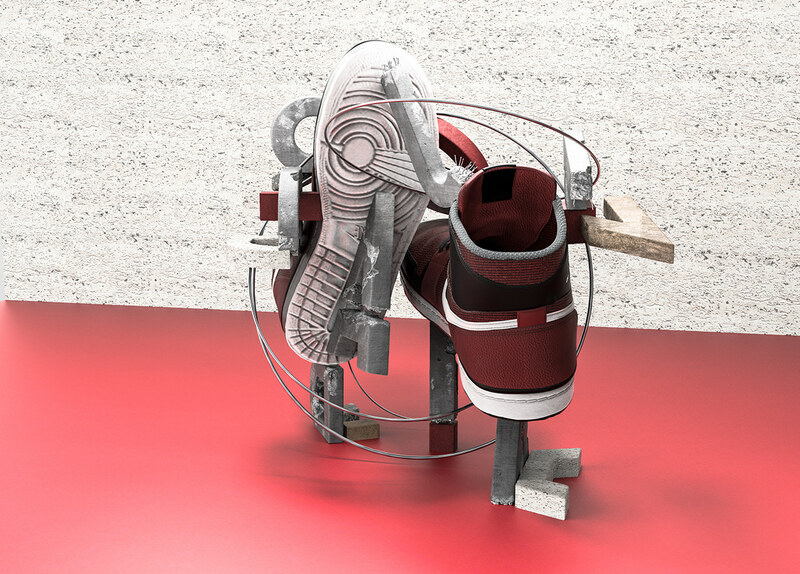 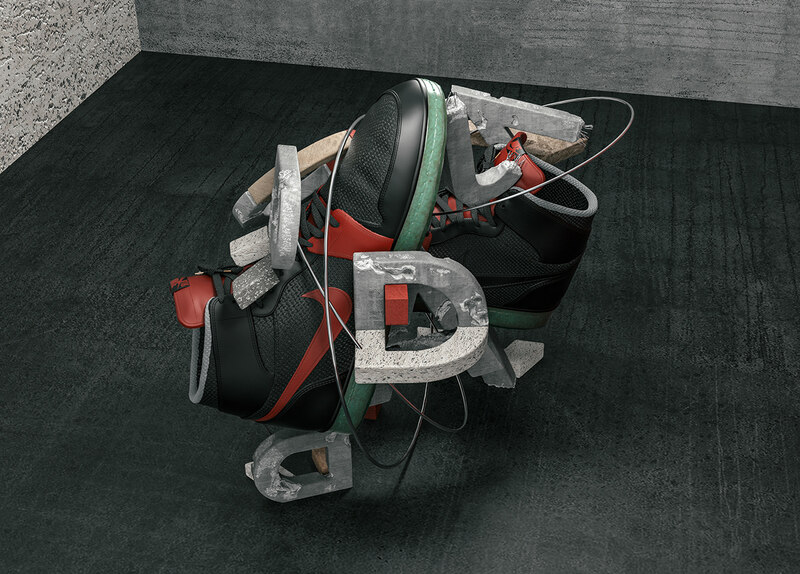 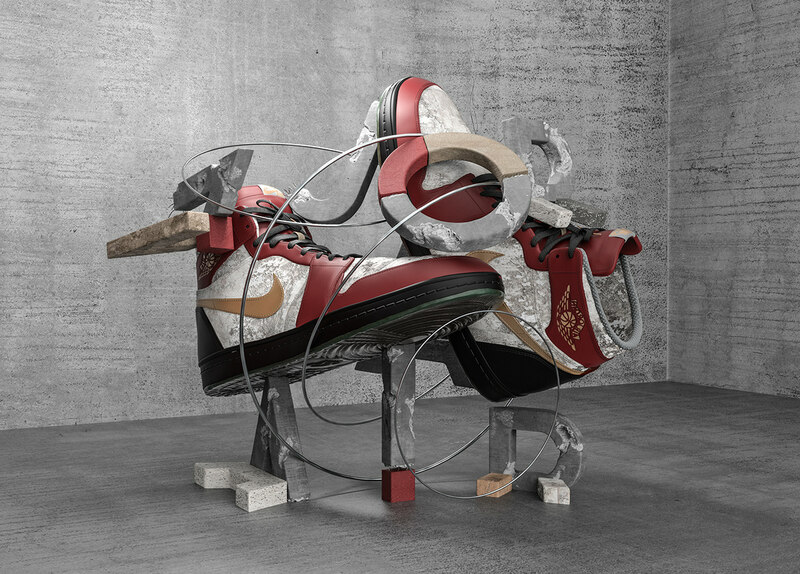 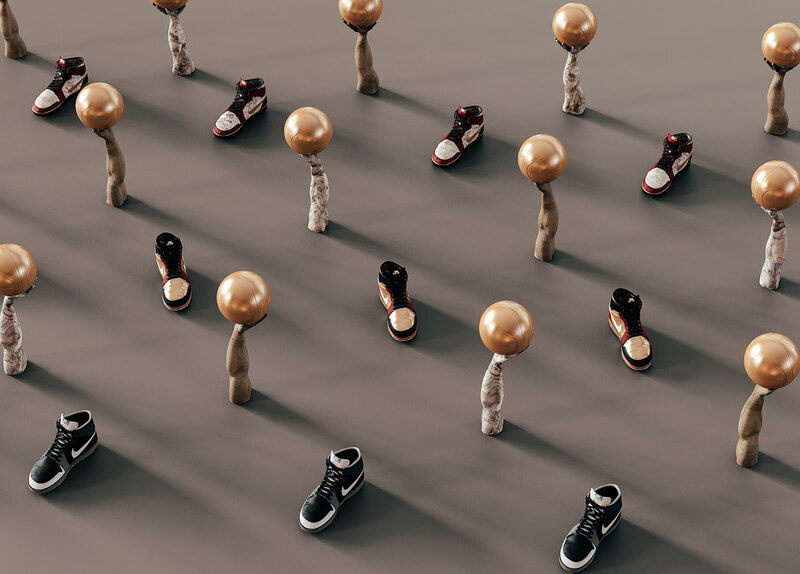 We've enjoyed modeling each part of the shoe and integrating it into a space with a typeface inspired by materials and architectural elements such as concrete. 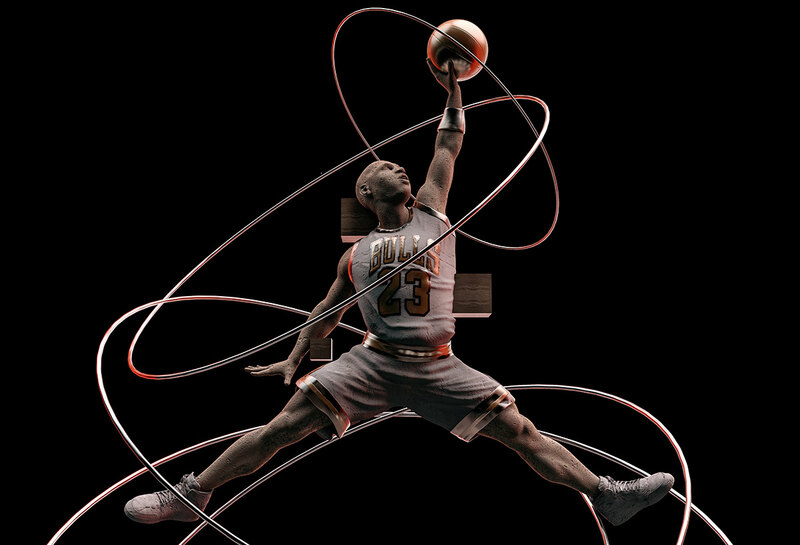 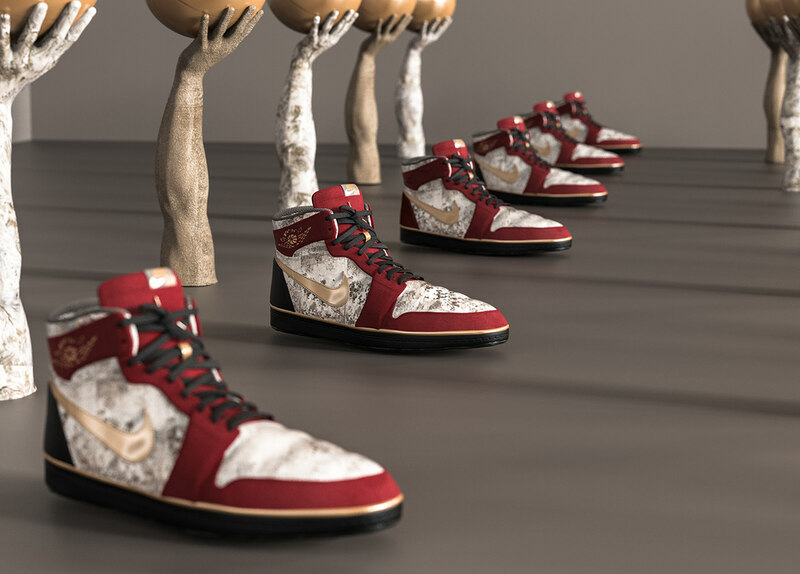 We've also modeled the "Jumpman" logo playing with a sculptural concept wrapped in six metal rings that symbolize the rings that MJ has won with the Chicago Bulls.